Colm has been fortunate to meet some of the greats of mathemagic and magic. 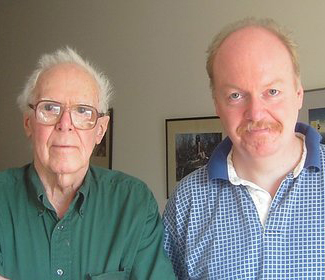 With the late Martin Gardner, in Oklahoma, Mar 2007. The famed writer was a sweet, unassuming and generous man. He played a significant role in enriching the intellectual climate of a nation during the space race era, turning tens of thousands of people on to the joys of creative thinking. In a sense, he did for mathematics what Julia Child did for French cooking. His legacy is celebrated every Oct with Celebration of Mind parties worldwide. 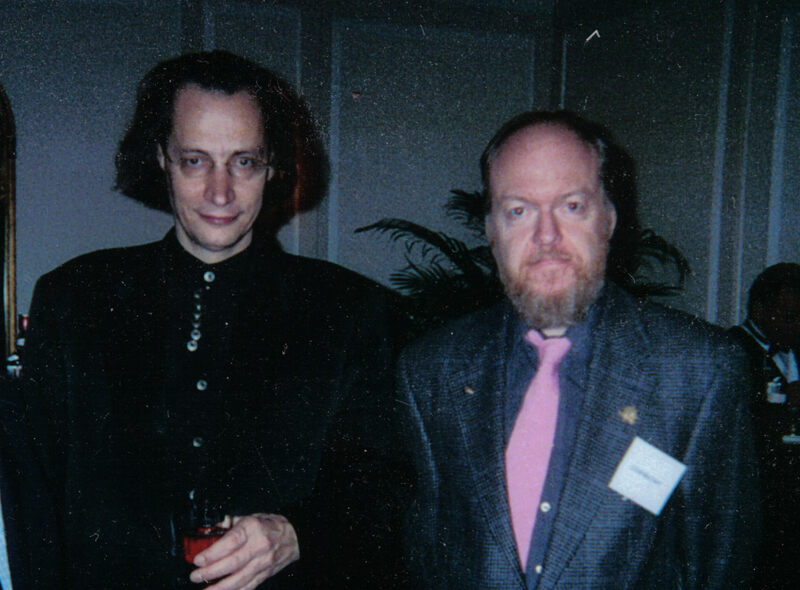 With magician, inventor, The Magic Show interactive book co-author Mark Setteducati, in Atlanta, Mar 2002. Showing considerable patience, Mark tried to teach Colm how to do a perfect faro shuffle. After a subsequent month of frustrating and seemingly fruitless on-and-off solo practice, it suddenly started to work. Pure magic! 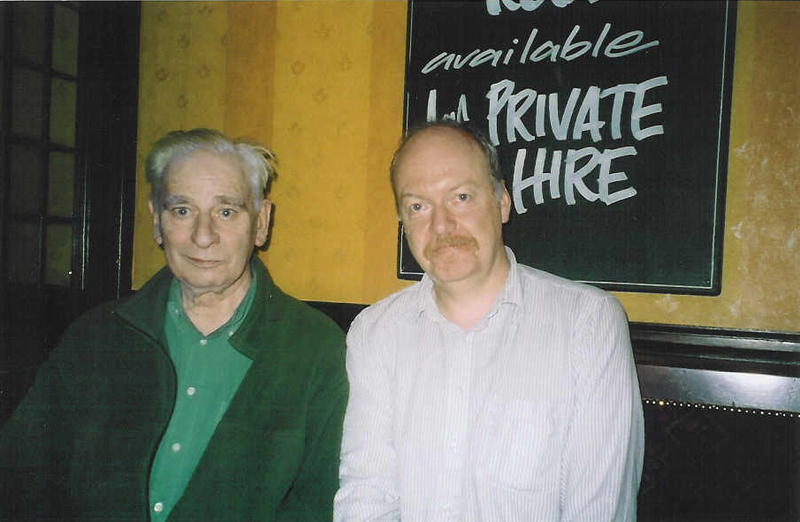 With English faro shuffle and false count expert Alex Elmsley, in London, Nov 2002. The bible on faro shuffles from a mathematical perspective is Magic Tricks, Card Shuffling, and Dynamic Computer Memories by Brent Morris. 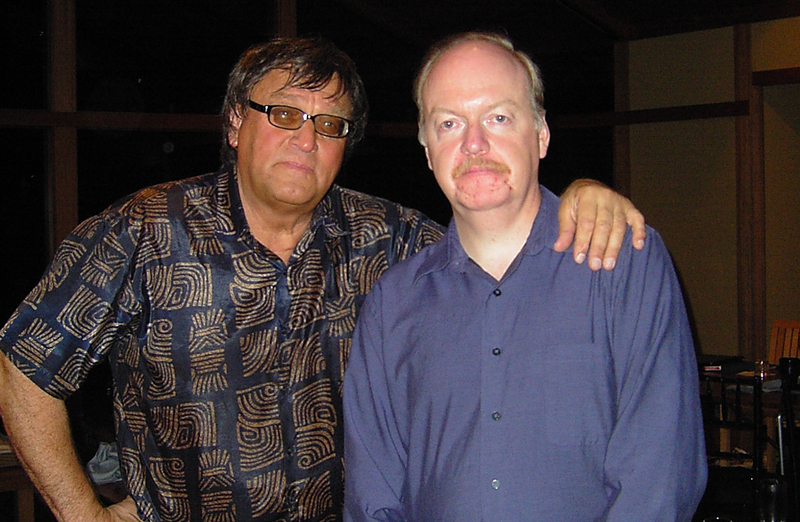 With Swedish card maestro Lennart Green, Atlanta, 23 Apr 2004. His rosette shuffle is used extensively in Mathematical Card Magic: Fifty-Two New Effects, being generalized to more than two piles in Chapter 8. Green's ingenious One-Two Separation is analyzed in Chapter 10. 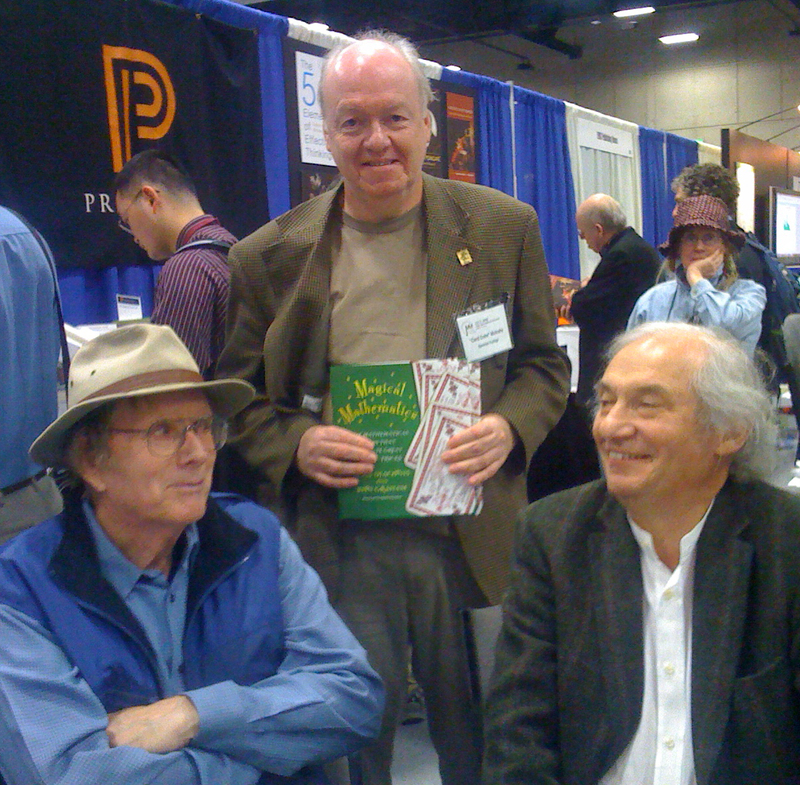 With Ron Graham and Persi Diaconis, in San Diego, Jan 2013, at a book signing for their beautiful and inspirational Magical Mathematics: The Mathematical Ideas that Animate Great Magic Tricks (Princeton University Press, 2011) deservedly won the 2013 Euler Book Prize. The wonderful mathematics and magic in that tome are much more sophisticated than what is found in Mathematical Card Magic: Fifty-Two New Effects. 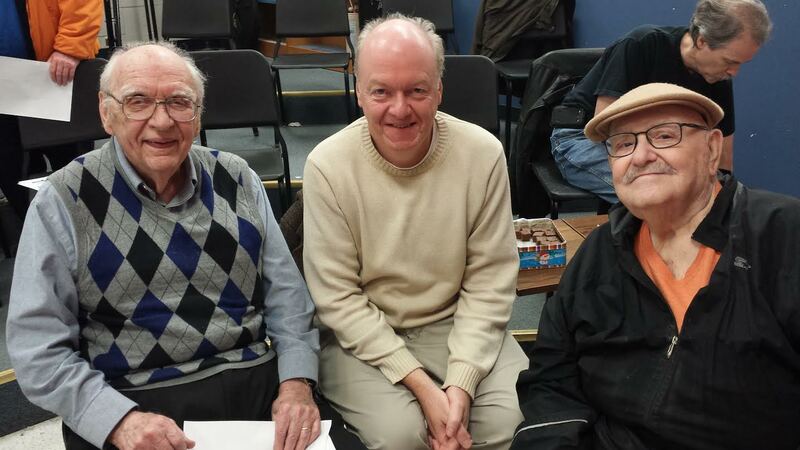 With the Deans of IBM Ring 9 (Georgia Magic Club), Doyne Michie and J.C. Doty, Dec 2013 (photo by Joe M. Turner).